Blackpool rock, The Illuminations, The Big One - there are many things that Blackpool is famous for but perhaps the biggest one, the one you spot first when driving up from the M55, is the iconic Blackpool Tower. 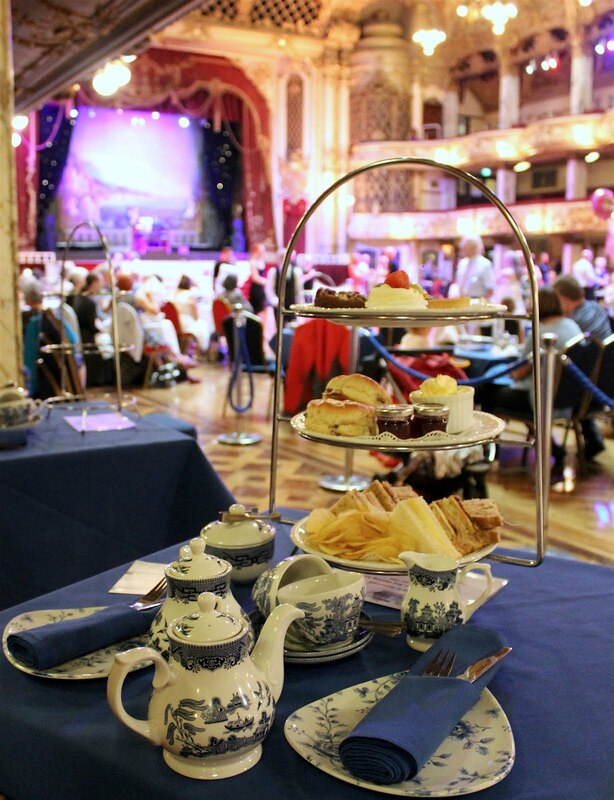 Last month, we took a trip to the seaside to visit this historic landmark for a spot of Afternoon Tea. 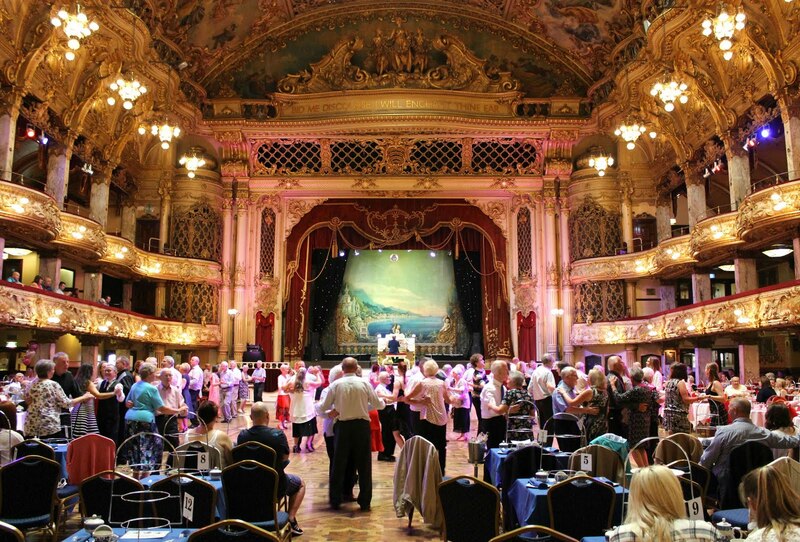 Cue ballroom dancers, finger sandwiches and something called a Wurlitzer. 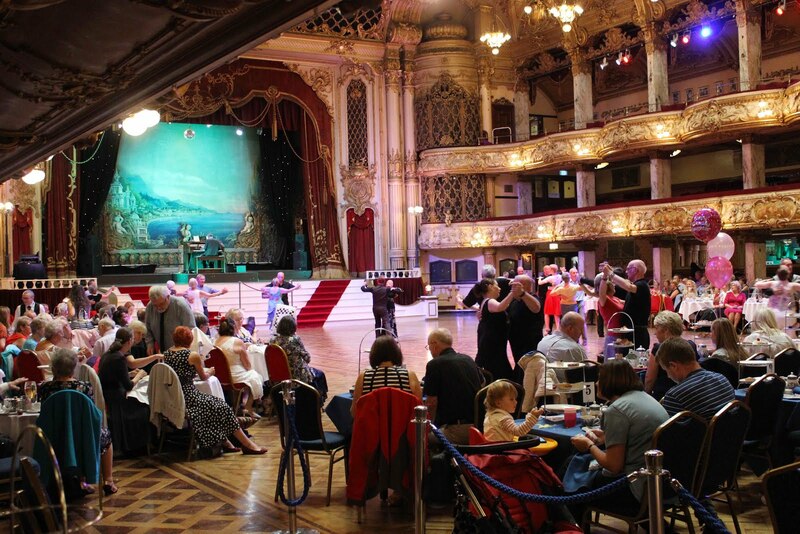 Tea is taken in the Tower Ballroom where tables surround the dance floor which is in full swing with couples waltzing away to the Tower’s resident organist - a particularly exciting sight for these two Strictly Come Dancing fans! The decor here is spectacular, the details are so rich and ornate brushed with golds and deep reds, it really makes you feel as though you’ve been swept away to a completely different time. The tables are already set with blue traditional style wares and guests are allotted an hour and 30 minutes sitting and a choice of teas or coffee to start, we opted for pots of both. There’s something so northern about this experience, the finger sandwiches are simple, laid back, “everyone’s favourite” kind of flavours presented alongside a handful of salted crisps, they’re not super fancy deconstructed creations that you might find in a London hotel, but that’s perfect for this place and set amongst the backdrop of one of the most beautiful venues you could ever hope to visit, it’s already got the upper hand. 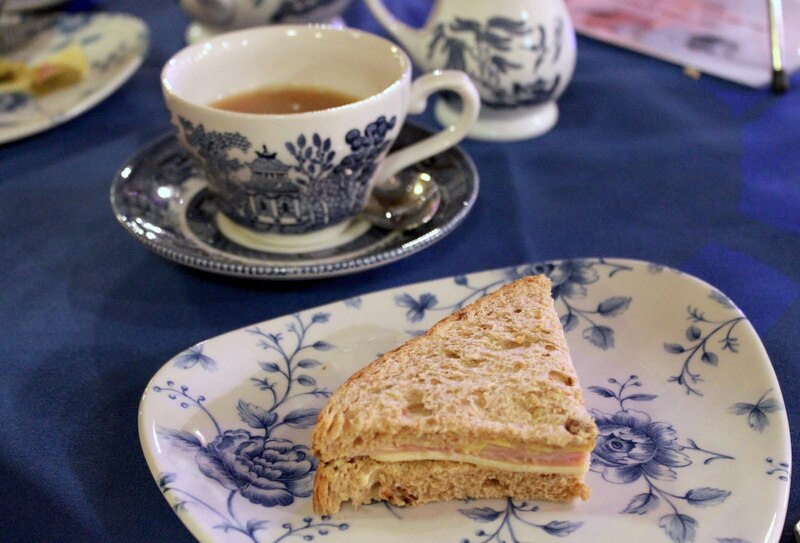 Flavours include a range of ham, beef and cheese - caution, these sandwiches do go quite heavy on the cheese so if you’re not a fan, it’s probably worth mentioning so in your booking for an alternative. For us, we would have liked some salmon or chicken fillings but there was plenty to pick from regardless. 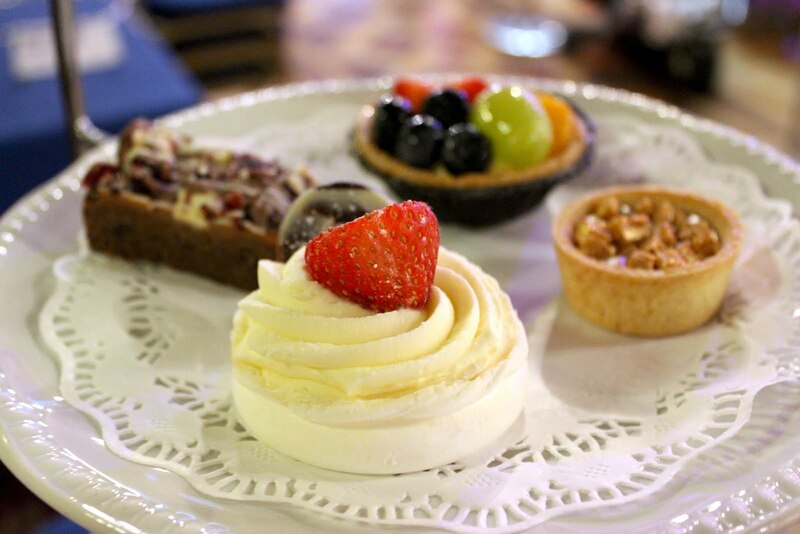 Sandwiches are followed shortly by a large fruit scone each, accompanied by individual jams and huge dollop of clotted cream and finally a range of miniature sweets including; chocolate tiffin, strawberry and cream meringue, honeycomb and fudge bite, and a fruit tart. It’s a really pretty and balanced mix of cakes, none of which are too heavy, and our favourite had to be the sweet and light meringue. We left feeling nicely full and ready to go score some tokens in the famous seafront arcades. Overall, this tea is pleasantly informal and there’s a unique atmosphere to be found here, something that remained throughout our visit with the hall steadily full of people. 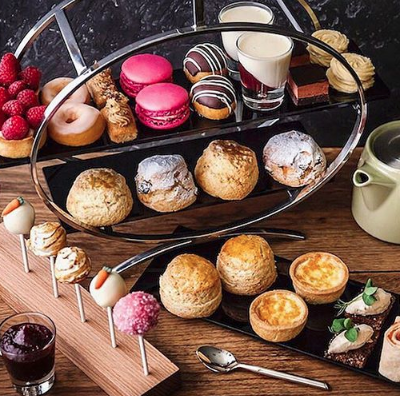 It’s quite magical to think that every weekend, there are hundreds of people spending their afternoons twirling around in a grand ballroom and stopping to partake in something as simple as finger sandwiches and tea. We’re so glad we got to experience it, and highly recommend that you do too. 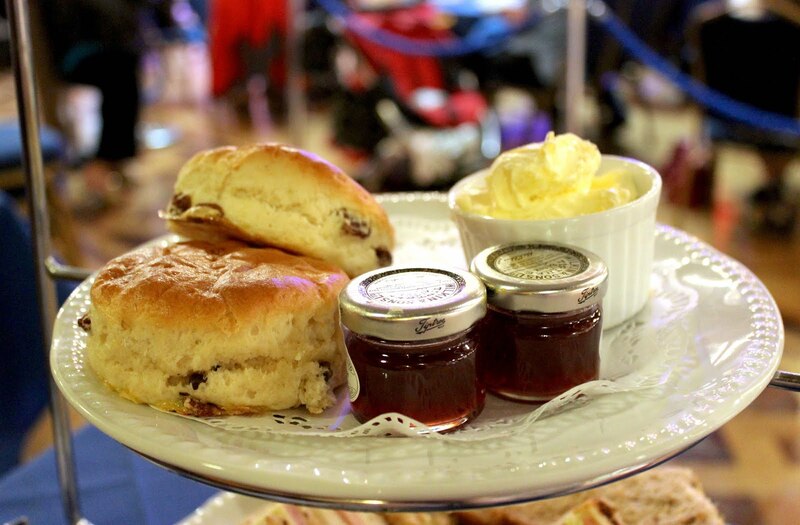 Whilst we were provided with a complementary afternoon tea for review, all thoughts and opinions are our own!